All four of Mike's photos seem to date from the 1960s. Picture One: The gentleman in this picture has already been identified by Celia Burt as her cousin John Appleton. He's astride a motorbike in the car park of the late lamented White Horse in Lewin Street. On the other side of that low wall is Niddrie's Toy Shop and the HQ of Niddrie's Coaches. Across the road is a row of typical Lewin Street cottages and shops - no two the same - leading up to a very interesting building, to the left of Niddries as seen in the photo. This was the original frontage of St Paul's Methodist Chapel, later demolished to make way for a car park in front of the remainder of the building which was given a new, modern frontage. In 1998 the three Middlewich Methodist Churches - Chester Road, St Paul's and Cledford, combined together. Chester Road became the HQ of Bamford's Stationery, St Paul's became Dave's Angling Supplies and the Cledford Chapel was demolished to make way for an enlarged building combining the congregations of all three chapels. 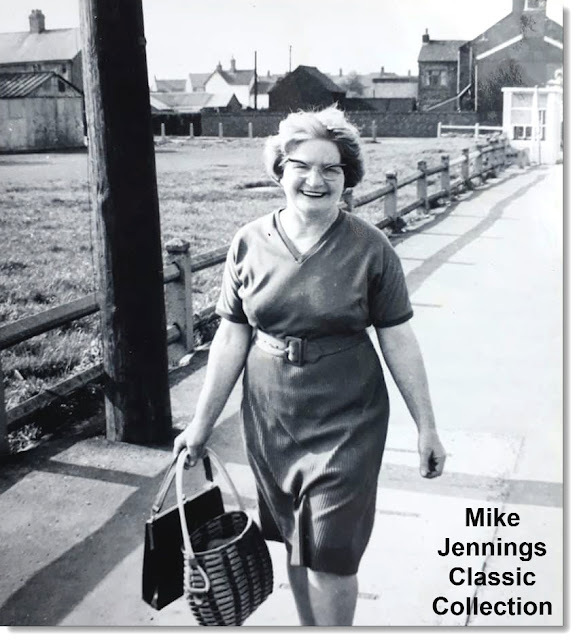 Picture Two: ....and who's this cheerful lady, strolling down Booth lane on what looks like a lovely sunny day? Has she, perhaps just got off a bus from Sandbach or Crewe? To her left is the Booth Lane recreation area, then and now a children's playground and now also a skateboard park. 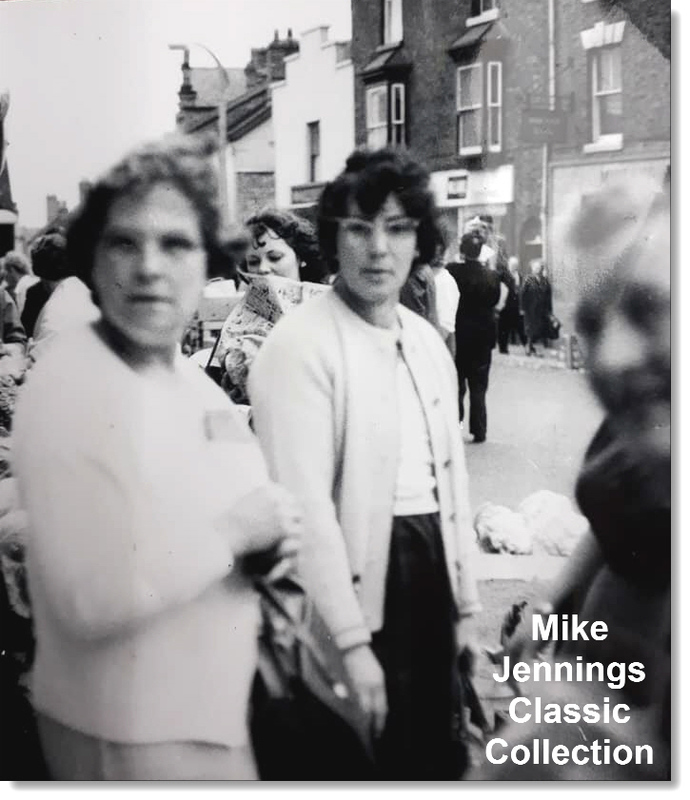 In the background is 'Etta Mault's' chip shop which, we hardly need mention, is still going strong. Picture Three: This gentleman has a strangely familiar look about him. He's sitting on Booth Lane Bridge, which spans the junction of the Trent & Mersey and Wardle canals and carries the road from Middlewich to Sandbach. We know that the photo was taken after 1962 because the ICI Alkali Works behind him on the other side of the canal is in a derelict condition. Pochins, who took over the site (and are still there) have not yet arrived at the time of the photo. The King's Lock Boatyard and the ancillary businesses now to be found on that peninsula of land between the canal and the arm which once served the chemical works are nowhere to be seen. One link with the present day, though, is the canal signpost seen to the gentleman's right. In those days it was made entirely out of cast-iron, painted in British Waterways colours of blue and yellow and guided the last of the working boats to important destinations on the T&M and SUC. It still performs the same function today. mostly for pleasure boaters. The modern version of the signpost, restored in the 1980s, has 'fingers' made out of timber. And talking of signs, look at the cast iron sign on the bridge. It can also provide a clue to the date of the photograph. It was originally headed BRITISH TRANSPORT COMMISSION, but the letters appear to have been chiselled off, meaning that the photo must have been taken after 1954. But we knew that anyway, because the ICI Works was in full swing right up until 1962. -that's just from memory. Perhaps someone could enlighten us as to the precise wording? The gentleman in the picture has one of those 'Middlewich faces'. He seems happy to be photographed, unlike his dog which, as they say around here, appears 'not struck'. Does anyone know the name of this gentleman? Picture four. Actually we're not entirely convinced that this particular photo was taken in Middlewich. We certainly can't place the buildings in the background. Can anyone else? Nevertheless the fact that this photo is among Mike's collection points to the ladies in it being from Middlewich. Perhaps they're on an outing somewhere? And sure enough, Celia Burt has identified one of them as Clara Cresswell. Many thanks to Mike for letting us see these photographs. There's something very poignant about seeing these Middlewichers of long ago going about their business in (mostly) familiar places. If you can identify anyone, please let us know. Pam Leese The 4th picture is Sandbach. The white building is Brook's butchers across from the cobbles. If this is your photo, please let us know, so that we can credit you properly. Many thanks to Pam for coming up with the answer to this one. 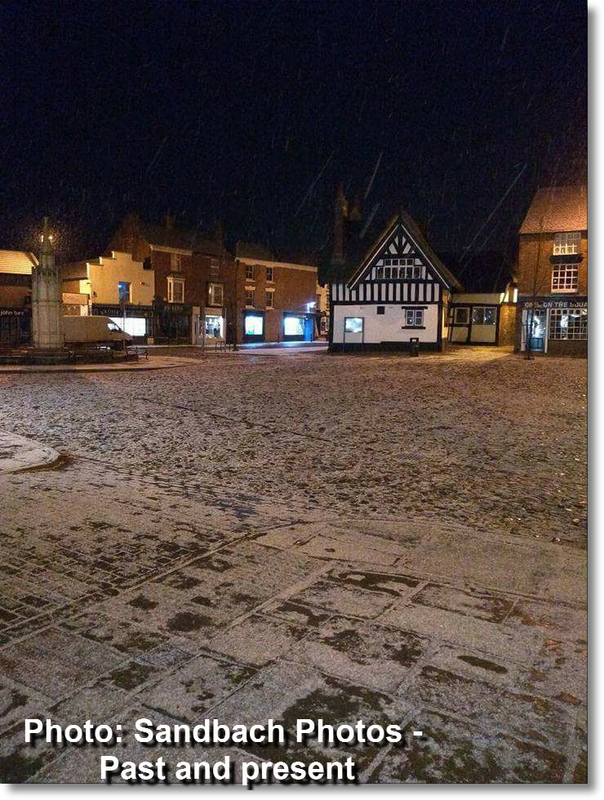 This photo proves the point that our Middlewich lassies were not in Middlewich at all, but just down the road in the estimable town of Sandbach. A very distinctive roofline, even if it does make the shop look more like the Alamo than a High Street shop. It's an excellent butcher's shop, by the way! 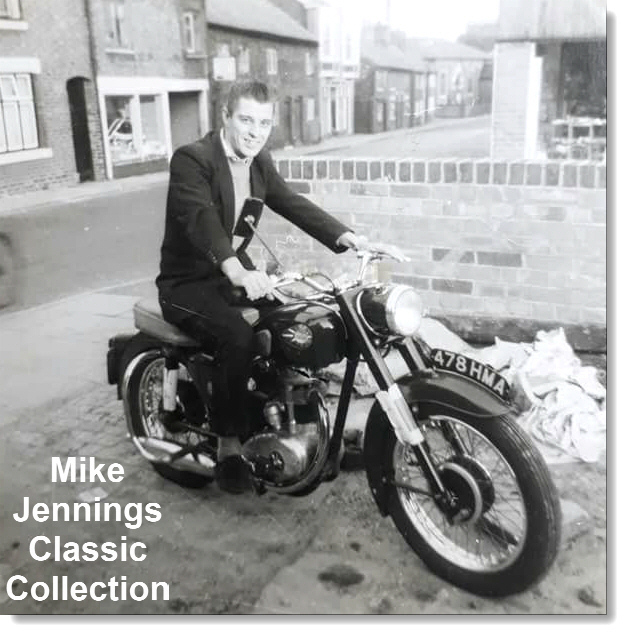 Labels: 1960s, APPLETON JOHN, BOOTH LANE, BOOTH LANE BRIDGE, BOOTH LANE SKATE PARK, BURT CELIA., CRESSWELL CLARA, FAMILIAR MIDDLEWICH FACES IN FAMILIAR MIDDLEWICH PLACES, JENNINGS MIKE, LEWIN ST. The first picture is indeed my dad, John APPLETON, and his BSA 250 taken as, as you said, on the White Horse car park. 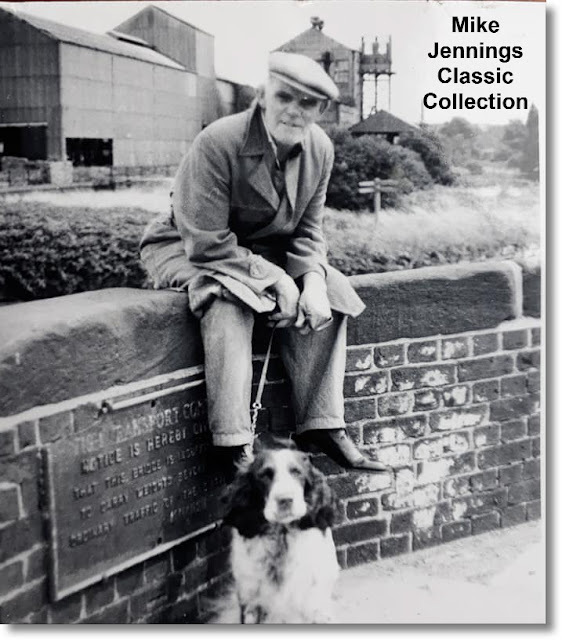 The gentleman sitting on the canal bridge is Jack Molineux, he lived in the back to back cottages on the corner of Ashfield Street so this pic was taken very near to his house. He worked at what would become RHM and every morning he would walk his dog in the fields off Brooks Lane which is now the site of the industrial estate. One morning he was found dead in the fields, he had died while walking his dog.